About Our Officers Our Officers Serve 2 Year Terms. This is Pat’s first term as President. Previously she served for 5 years as Vice-President and Program Chair and prior to that on the membership committee. She is also the co-coordinator of The British Special Interest Group, a member of The Florida State Genealogical Society, The Florida Genealogical Society (Tampa) and The Illinois State Genealogical Society. Pat has been researching her Scottish, Irish, and Swedish heritage for over fifteen years. She discovered a cousin in California a few years ago and has exchanged photos and information which led to a breakthrough on her Swedish line. Through Ancestry she made a connection and has discovered a cousin in Coventry, England which has provided additional information on her Cunningham line. After a 14 year search, she finally found the gravesite of her long lost maternal grandfather. Pat and her husband, Ray, married in 1974, have one daughter, Courtney, and a grand dog, Dakota. Their favorite little buddy, Spanky, is a Jack Russell/Beagle mix they adopted in 2012. They have resided in The Villages since 2004. Ray's forty-year employment with the BNSF Railroad required a few moves and Pat has worn several hats during her working years since graduating from Texas Woman's University. 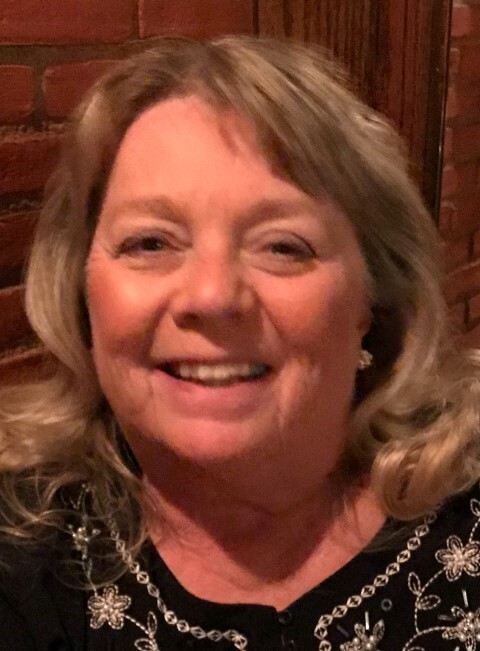 In her former life, Pat served as Treasurer, Vice-President and then President of the Galesburg, IL ALTRUSA club and one term as Treasurer on the 6th District Board of ALTRUSA. In 2011 she retired after 5 years as a recreation assistant in The Villages. In February of 2011 she finally retired from her last employment as a recreation assistant in The Villages. I’ve served and continue to serve in program-development positions in other societies. I was vice president of the Colorado Chapter of the Association of Professional Genealogists and organized programs for their quarterly meetings. I currently serve on the Technology Committee of the Florida State Genealogical Society. In addition to hosting some of the FSGS webinars, I’ve played an active role in the development of our 2017 webinar series. I am also currently the coordinator for the 2017 Association of Professional Genealogists Professional Management Conference. As part of my duties, I have written the call for proposals and will be putting together the three-track program schedule for this three-day conference. As a professional genealogist and a speaker at national, regional, and state conferences, I know and know of many wonderful speakers who might be great additions to the VGS program schedule. Cynthia was elected in 2017 to a 2 year term as VGS Secretary. Cynthia is originally from Saginaw, Michigan which her ancestors settled in 1838. She attended University of Detroit, Mercy and Michigan State University where she majored in nursing. She and her husband relocated to Florida in 1973. She worked in healthcare management until retirement. She was fortunate to grow up with all of her grandparents living within 10 minutes of her home. From them she developed her passion for genealogy. To date her family tree consists of almost 10,000 ancestors with origins in medieval Europe. Cynthia was a member of the Pinellas County Genealogy Society for several years. After moving to The Villages in 2006 she joined VGS. Cynthia considers the VGS as one of the most positive things of living in The Villages and will strive to serve it well. She and her husband have 2 children and 4 grandchildren. Ruth Wible was recently re-elected to serve as Treasurer through 2017. Previously she was a member of the Membership Committee. She has been a VGS member since 2006. Ruth was born in Hackensack, NJ. Her family moved to western PA in 1941 when her father was loaned to Westinghouse for the War. His Dutch family (Bogert) had been in NJ since the 1660’s but they loved PA and stayed. Ruth graduated from Grove City College with a degree in history and taught in NJ, PA, Germany and Florida before working in the income tax field for 25 years. She is researching her husband’s Wible and Baker ancestors in Western PA and her Mother’s Klaus and Reicher’s German families in New York and Germany. Her Father’s Dutch and English family has been an on and off project since her teen years. Her family keeps asking when she will be done but the information just keeps appearing and you can’t quit when that happens. When not working on dead ancestors she and Duane love to travel and spend time with the grandchildren. Ruth and her husband Duane have two children. Their daughter Karen’s family is in Maryland with two children and their son Bill in Colorado with four.